Well, hello! It’s been awhile! I apologize for the long delay in posts. But I’m happy to announce my family is settled back in the great dairy state of Wisconsin! So moving, houses, boxes, jobs, kids, blah blah blah = hiatus. 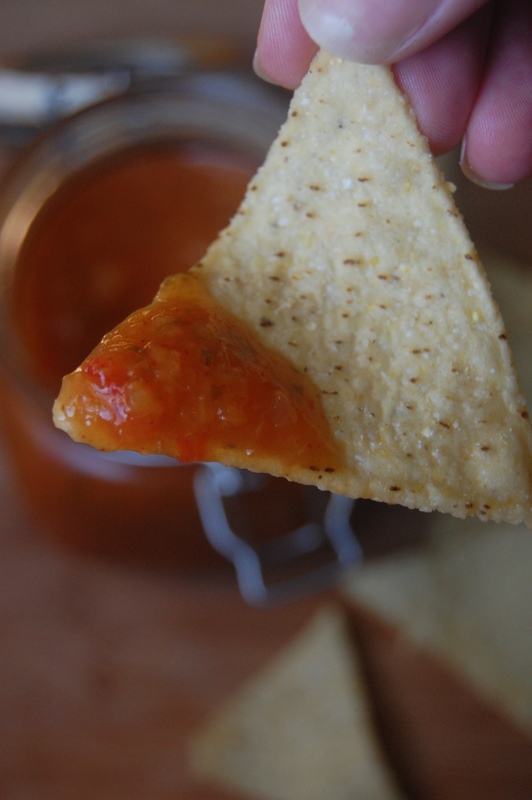 But I’m back to share a peach salsa recipe that is out of this world. I’m once again honored to receive the most beautiful box of peaches from the Washington State Stone Fruit Growers to participate in a canning recipe for www.sweetpreservation.com. These were the juiciest peaches I’ve ever eaten and the juice dripping down my 1-year-old’s chin would agree! I wanted to pair them with some other garden fresh items, so I added tomatoes and cilantro to make a wonderful salsa that is not only delicious as a condiment, but makes the most amazing pulled pork ever. Pork shoulder, jar of cilantro peach salsa – bam! (to steal from Emeril) and you’ve got one great dinner. So without further ado, here is the recipe so you can try it for yourself. 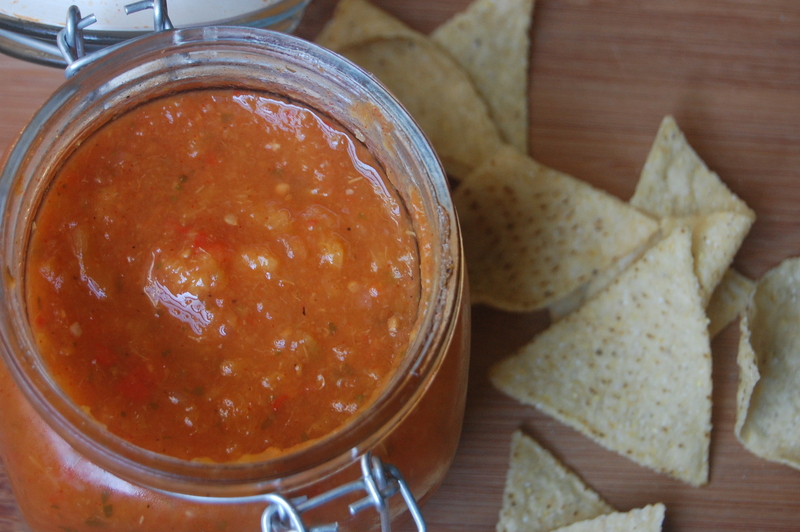 Salsa can seem daunting but it isn’t! Using the same pot of water, do the same with the peaches. Place in water for about 1-2 minutes until the skin starts to peel away. Place in ice water bath, peel and cut into chunks. In a large stock pot, add tomatoes, peaches, green pepper, onion, jalapeños, garlic, cilantro and apple cider vinegar. Heat on medium-high heat and stir. Add paprika, chili powder and salt. Stir and allow to simmer for about 20-30 minutes. Remove from heat. Using an immersion blend, blend ingredients together to your preferred texture. Spoon into jars and following preserving instructions from http://www.sweetpreservation.com!